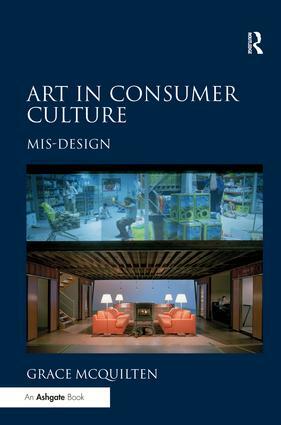 Written with beautiful clarity, Art in Consumer Culture: Mis-Design asks the contemporary art world to be honest about the pervasive effects of commodification and the difficulty of staging critique. The book examines the collusion of 'art' and 'design' in contemporary artistic practices in order to find avenues of critique in a commercially driven cultural landscape. Grace McQuilten focuses on the work of Takashi Murakami, Andrea Zittel, Adam Kalkin and Vito Acconci, four contemporary artists who claim to be working in the field of design rather than the traditional art world. McQuilten argues that Zittel, Acconci and Kalkin engage with 'design' only to reactivate the critical practice of art in a more direct engagement with capital - and conceives of and affirms a future for art, outside of the art world, as a parasite in the complex beast of late capitalism. This book is an important and timely provocation to a cynical and apathetic consumer culture, and a call to arms for creative freedom and critical thought. Contents: Introduction; Art, design, mis-design; Playing Zittel: Andrea Zittel's design for living; Adam Kalkin's architectural wonderland; Overcoming design: Vito Acconci/Acconci Studio; Conclusion; Bibliography; Index. Grace McQuilten is an Honorary Fellow in the School of Culture and Communications at the University of Melbourne, Australia.